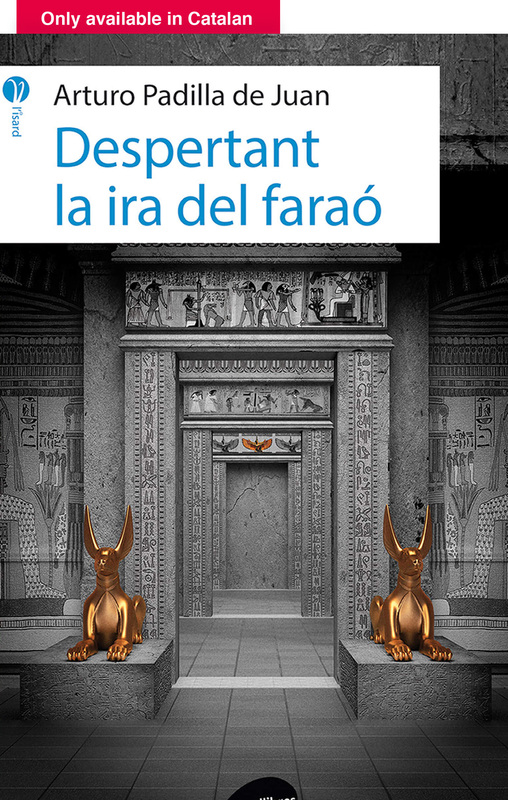 «The Pharaoh’s wrath will fall upon those who dare disturb his eternal sleep» This is the inscription which oversights the entrance to the royal tomb that Albert and Jasmine, two renowned archaeologists, must investigate. Doubts start to creep in. Is this just a message to scare robbers away? As they go deeper and deeper into the tomb, doubts quickly disperse and they soon realise the warning is all too real. Traps and dangers await at every corner. Each movement could be their last and are key to surviving. However, they are both determined to make it to the end. On the other hand, Blai is a sixteen-year-old boy who never leaves home. No matter how hard he tries, he is unable to cross the doorway. This situation is a worry to his mother, his friends and his grandmother, but no one knows how to help him. He is the only one who knows why it is happening. Awakening the Pharaoh’s wrath is an adventure novel about searching the past, personal self-improvement and double appearances. The idea for this novel occurred when I was twelve. At that age I used to draw labyrinths and make up tests for my friends to solve. Because of those games, I always had in mind writing a book about an Egyptian tomb full of dangers. The tomb of Thutmose II is one of the greatest tombs never to have been discovered. Even though his mummy has been identified, the pharaoh’s tomb is yet to be found and could still hold all of the king’s treasures. The mental disorder suffered by Blai in the novel is very common in Japan. It’s called “hikikomori” and is suffered by young people (between the ages of 16 and 29) who stay secluded in their rooms without leaving home for years. T’agraeixo molt el comentari i la teva passió a l’hora d’expressar-me’l. Sento que tantes hores de dedicació han valgut la pena. M’alegra saber que soc el teu escriptor preferit, però també tingues present que ets molt jove i et queden molts anys de lectura. De ben segur descobriràs nous escriptors i escriptores que et captivaran, mai et tanquis portes. Una abraçada! Moltes gràcies pel teu comentari. En principi, no tinc pensat fer una segona part de la novel·la. Em sap greu. Espero que t’hagi agradat!! M’ha agradat molt, em vaig enganxar pel principi. Me l’he acabat! I això que no m’agrada llegir. Moltes gràcies per dedicar part del teu temps en aquest comentari. Celebro que la novel·la t’hagi enganxat des de les primeres pàgines. Esta guay, però l’he trobat una mica infantil. Moltes gràcies per compartir les teves impressions amb mi. Prenc nota per millorar! A quin Alex et refereixes?